Dipping and swooping through the sea, this sinuous swimmer is a long-cherished symbol of nature's beauty and grace. 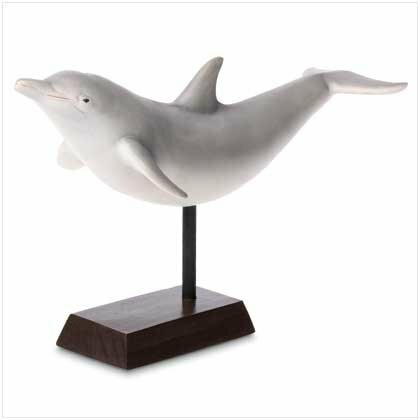 You'll delight in its lifelike pose and coloring! Ceramic with wood base. Measures: 12 1/4" x 5" x 7 3/4" high. Talking Middle Finger Green Flame Lighters! HOT!